Blackthorn joined us in the fall of 2014. 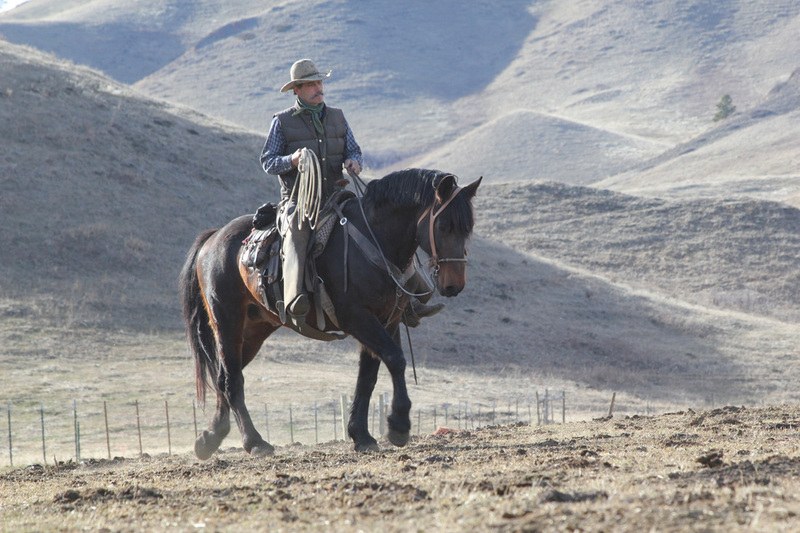 He has spent the winter as Tom's saddle horse and has quickly learned his way around a herd of cattle. Blackthorn has a rock solid temperament and a "want to please" attitude. His first Montana mares will be covered in 2015.